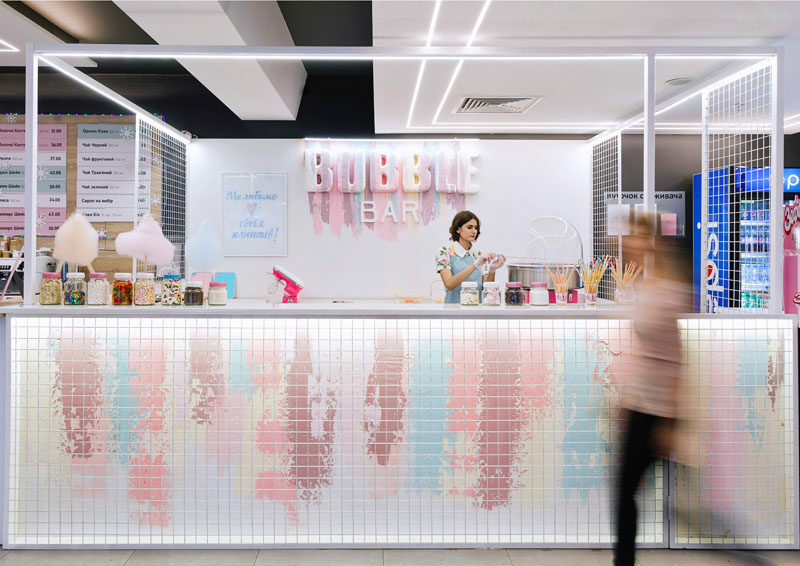 Iryna Lysiuk of LYSIUK architects has designed Bubble Bar, a small dessert bar in Lutsk, Ukraine, that specializes in waffles, ice-cream and candyfloss. 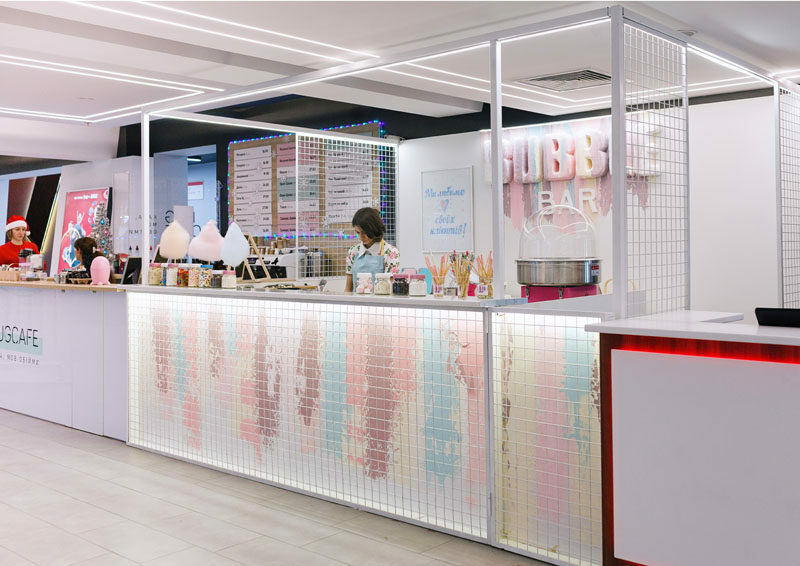 The main design goal of the 107 sq ft (10sqm) space was to create a design that is delicate, scrumptious, light, and modern. 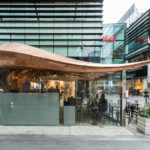 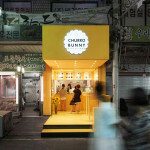 By using a backdrop of white, and a facade that’s lit up, the bar stands out against its neighbors. 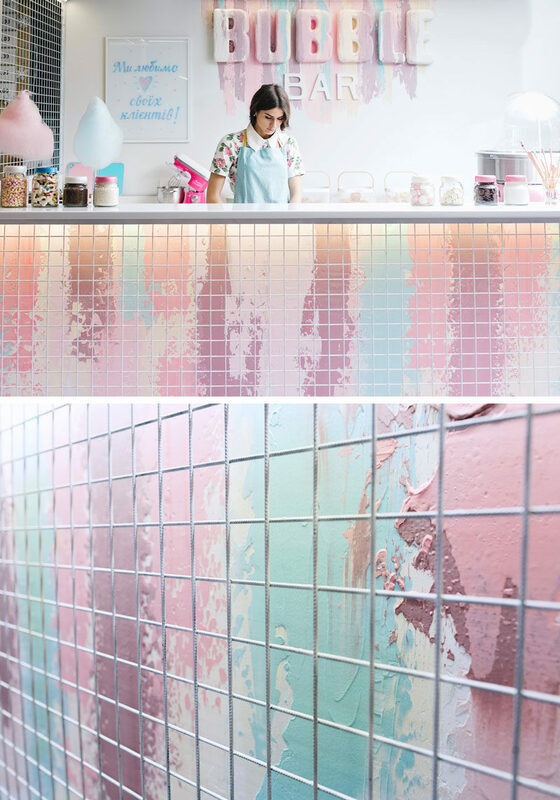 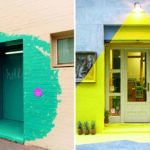 Artist Yurii Chajka was commissioned create the facade and the backdrop with the logo, using pink, vanilla and mint to add color to the all white space, and make the observer think that the artist may have used an ice-cream cone as a brush. 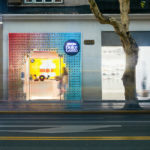 He decided to employ the technique of palette knife pastose painting, and a white metal frame was installed to protect the artistic facade.